Burger King, the global hamburger fast food giant, recently made a huge announcement: Customers will soon have the option to select either a beef patty or a plant-based patty when ordering the iconic Whopper sandwich. Burger King’s plant-based patty will be made by Impossible Foods, a California startup founded in 2011 with the explicit goal of decreasing the world’s reliance on animal agriculture. Impossible Foods signature product, the Impossible burger, has already debuted as a slider in White Castle’s 380 or so stores. It’s also being added to the menu at all 570 Red Robin locations. Other plant-based innovators, such as Beyond Meat, have also found some mainstream success. But the Impossible Whopper and the planned national roll-out at Burger King’s 7,200 locations is the biggest deal to date. 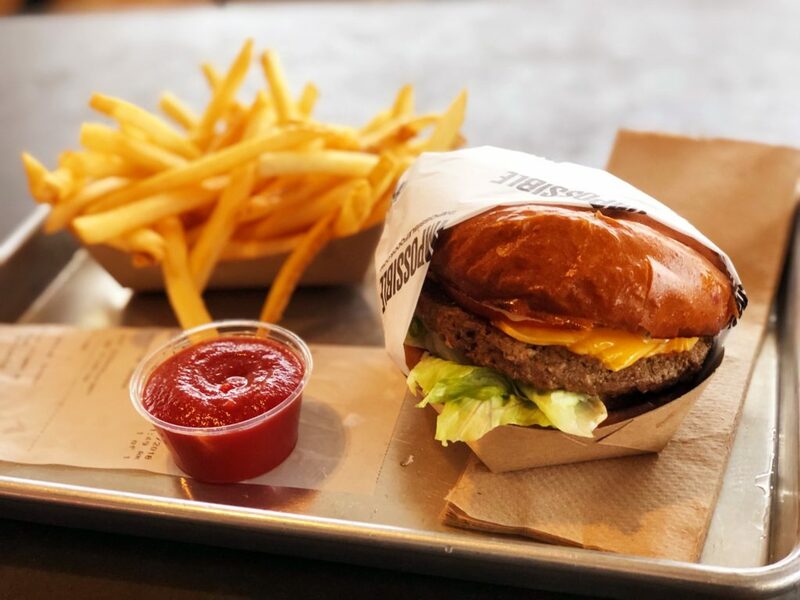 Impossible Foods’ major innovation comes from its use of heme, which is an iron-rich protein that in essence is what makes meat taste like meat. Impossible Foods cultivates heme directly from plants – soybean plant roots to be exact – and then mass produces it using yeast. This is then mixed with other plant-based ingredients to achieve the nutty texture of ground beef. Meat production is one of the biggest single contributors to climate change. The Impossible burger represents a better choice for the environment. It requires 87% less water, 96% less land, and produces 89% fewer greenhouse gas emissions when compared with beef burgers. At Burger King, the Impossible Whopper will have the same amount of protein as the regular Whopper, but 15% less fat and 90% less cholesterol. Meatless continues to push into the mainstream. Photo, posted November 27, 2018, courtesy of Sarah Stierch via Flickr.